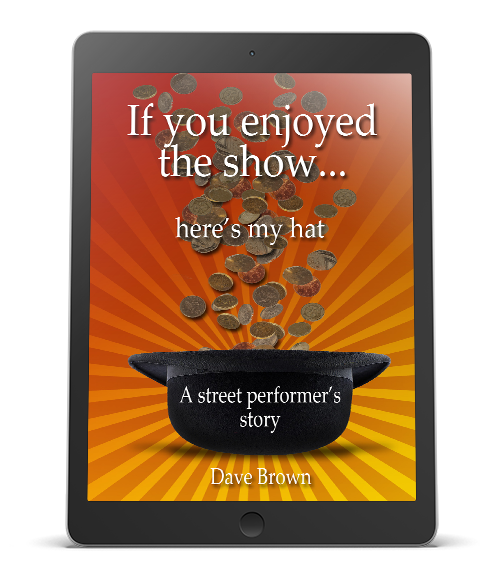 My story of how I became a street performer. A potted history leads into how I arrived at the decision to try the street as a way of making money, not realising at the time it was to alter my life forever and money was to become a by-product of having an exciting adventurous life. Read about my first encouraging attempt at street performing. Follow me through my apprenticeship. 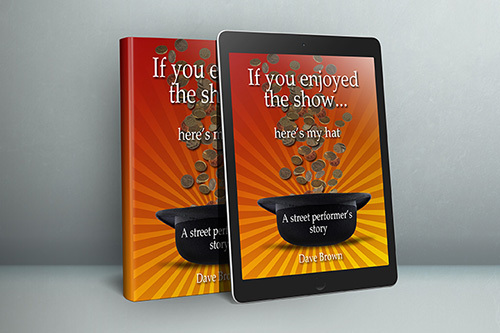 Learn the 5 basic rules (and how to apply them) to succeed as a street performer. Meet some of the characters I met while working as street performer, written about with real affection for anyone brave enough to give up security in order to be in control of their own lives and destiny. This is a diverse collection of eccentrics and geniuses you will enjoy reading about. I have written about some of my memorable events; changing money on the black market in China, accidentally destroying a set in a TV studio in Canada, performing on the street in Jerusalem with an armed bodyguard, winning over a crowd in an area police stay out of in Hong Kong and many other events. Some of my routines have been analyzed to give you an insight into the way my mind works and about the special considerations required for working on the street. Meet Eric the Hypnotic Rabbit, read about having a designer strait-jacket made by a fetish-wear supplier, and why is a jumping spider so funny? I have written everything as I remember it; the camaraderie among performers all around the world is something I miss. There is a lot of comedy on the streets mingled with bouts of violence and ignorance of why someone would want to perform on the street. Anyone who does it just for the money will eventually become bitter and resentful, street performance has to be approached with a sense of humor and a willingness to work with what the street has to offer . A street performer has no right to money from anyone so should make sure they give the crowd what it wants and leave the rest to fate. With this book it is my intention to show how I worked with the street and gave fate a free hand. The viewer below gives a random collection of snippets from the book to give you an idea of the content.